The popular Nova launcher can now come with latest beta version, which supports Google feed(Google Now Card). For this new support of google now card users will also download a companion app to get this feature in your android.the name of the companion app is Nova Google Companion, This Nova Google Companion will provide the google now cards on your Nova Launcher, which is available in APK Mirror. By using these two apps (Nova launcher beta, Nova Google Companion) Nova launcher supports Google Now Cards. Nova Launcher is the highly customizable launcher. It replaces your home screen with you can control and customize. 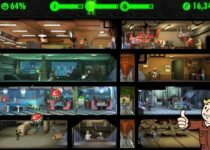 you can change the icons, layouts, animations and more. Nova launcher is the best AOSP style launcher available on Android. You can also set Night mode, It automatically change the background of app drawer from white to black. Icon themes – you can find thousands of icon themes for Nova launcher on the play store. 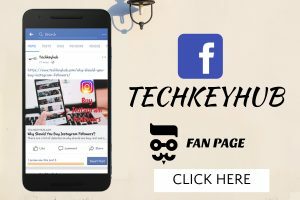 Customizable App Drawer – you can customize as you want to like custom effects, custom tabs, horizontal or vertical scrolling. Infinite Scroll – using this option you can loop your favorite page on the home screen. Color Controls – you can select the color for labels, folders, drawer tabs and backgrounds. Backup/Restore – After customization of your home screen you can backup and restore whenever you want that particular look & feel. Export your settings and layout before you wipe quickly get back up and restore the same settings and layout. Fast – Nova launcher is highly optimized to do its work faster and quickly. 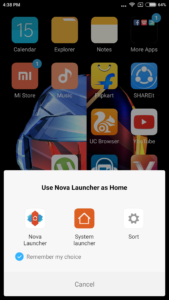 Nova Launcher Prime – It’s paid version of Nova launcher with unlocking features of Gestures, Unread counts, Custom Drawer Groups, Hide Apps, Icon Swipes and more scroll Effects. 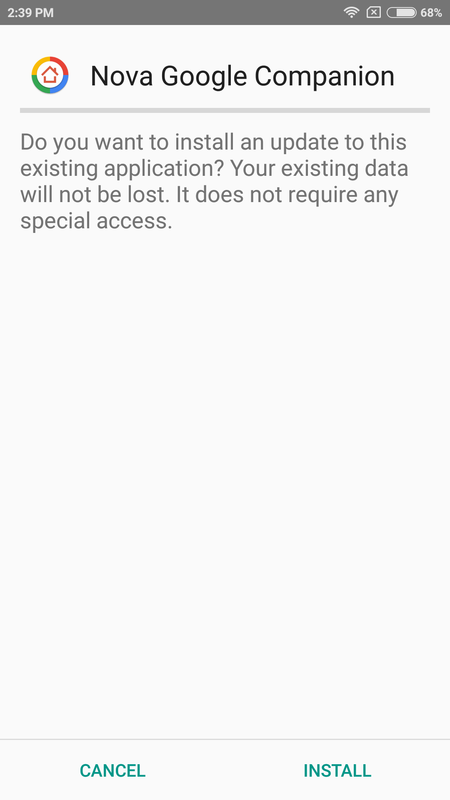 Note: Your Android phone should be running on Android Marshmallow 6.0 or higher. 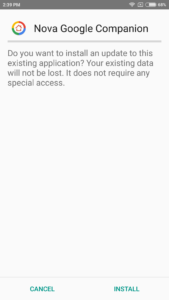 Follow the same method for working on Lollipop 5.0 or below with latest Nova Launcher 5.2 beta2 version or higher. 1.First, Download Nova Launcher from Google play store. 2.Next, Download Nova Launcher Beta (Version 5.3-beta1 and higher) from Google play store, enroll you for Nova Launcher Beta Version from Google play store. 2.Set Nova Launcher as default launcher on your Android device. simply press your home button and the pop-up will appear to look like in below picture, check the option called Remember My Choice and Tap on Nova Launcher Icon. 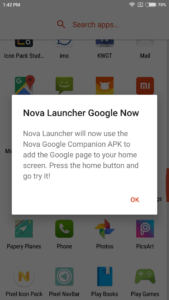 3.After installation of Nova Launcher, Now you have to install Nova Google Companion app. 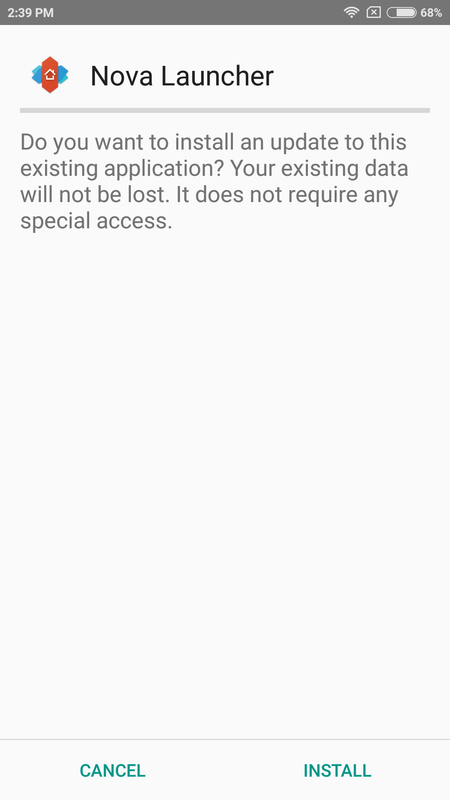 before that enable “Unknown sources” on settings –> security –> unknown sources. 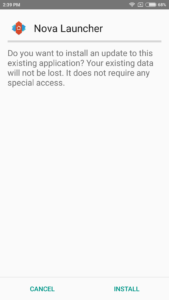 4.After installation of Nova Google Companion, you will see a pop-up window on your screen, Just click on “OK“. 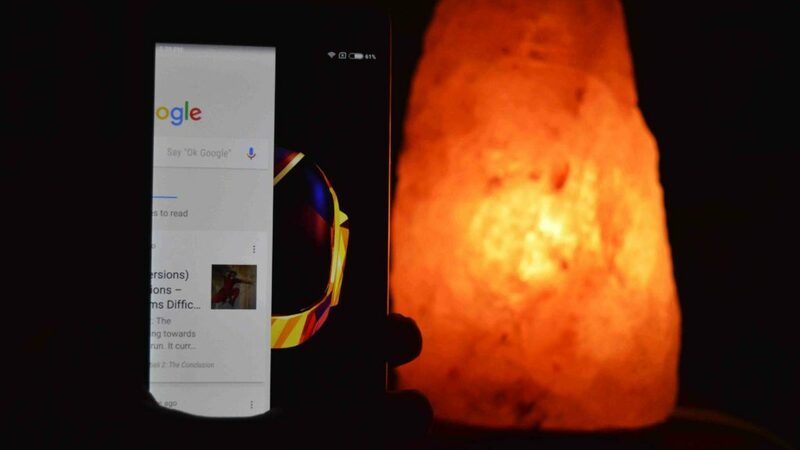 5.Now Go to the home screen of Nova Launcher, simply swipe right on your home screen to access the Google Now Cards. Now Nova Launcher has integrated the Google Now Cards in it. 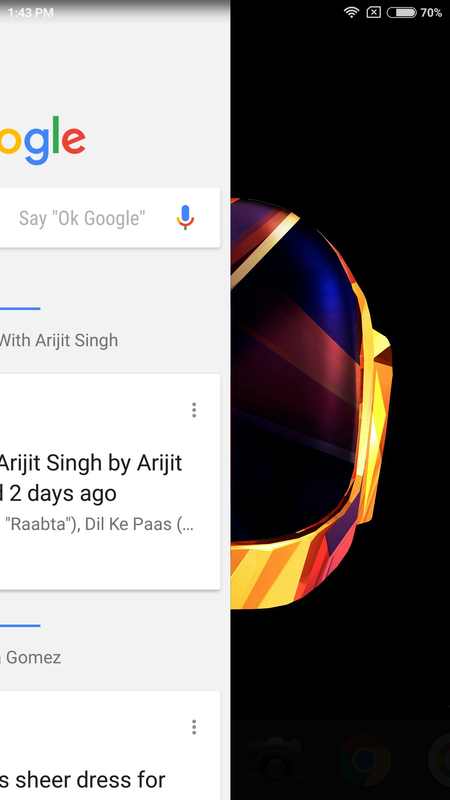 Finally, Now you can access the Google Now Cards on your Nova Launcher. Follow the steps correctly If you have any issues comment down below. I will reply as soon as possible. Don’t Forget to Share this post on Social Media that could be appreciated.